In the history of The Crochet Crowd, by far this past 6 weeks has been the worst devastating blow to The Crochet Crowd Network ever experienced in my history. 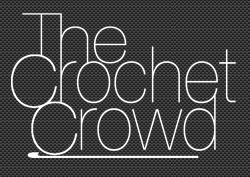 The Crochet Crowd Website has been in shambles of being up and down like a toilet seat. Working one minute, crashing the next and it has been emotionally and physically tiring trying to solve the countless problems. For those interested, I will tell you what went wrong. The bottom line, I decided to change our website host provider. After being encouraged that I could save money each month on services and looking at what a new host could provide as a bonus to help us… it was anything but money savings, in fact, it has cost me a couple thousand dollars of loss. A horrible blow to our bottom line and unreliability of having compromised cross partners and fan’s trust within The Crochet Crowd. In the past six weeks, email after email of people complaining each time our website went down. My own frustration of writing articles when the website would crash while I was writing my articles and it losing my content. I had lost count how many times it crashed and the hours of my website being offline for reasons I am still unsure of. I tried to stick it out with the new host but it became clear to me that I don’t trust my own website to be operational 24-7 like I used to. I don’t want to be a programmer and I don’t want to be picking up a phone to tech support to remedy my problems each time. Each solution was getting more expensive and fact is, how do you know what you are being told is honest? Though I don’t want to believe the new host was trying to con me to increasing my services, but I started to wonder how do I know what I am being told if my situation isn’t getting better and yet my costs were increasing. I had lost confidence in the new host provider. My reason for leaving my original host was over the opportunities of arranging sub-domains for The Crochet Crowd. Due to programming, the current set up wasn’t possible at that particular time frame. Though I have come to learn over the past week it was possible. I jumped off a good host and went into the hands of another that was unable to handle our website. It was clearly a dumb move on my part. I take full responsibility as I am the owner of this company. I came to realize over the past 6 weeks that each web host provider are not equal. There are some that clearly handle things better. Over the past 5 days, I have managed to arrange to return everything back to our original host. It hasn’t been a flip of the switch, it has been timely and frustrating for all parties in involved. Knock on wood, the days of us crashing should technically be behind us as of 30 minutes ago. So you are thinking, so the fans are complaining who cares right? It’s more than that… YouTube Videos are linked with the free patterns that appear on my website. Other websites are linked with my own website to share my patterns. It’s a huge cross circuit of information on the internet that has me linked all over the place. In fact, there are over 50,000 cross connections between my site and other sites. When my site goes down, it compromises everyone’s links. In fact, I lost the confidence of other websites who were featuring us on a regular basis. It came time to stop playing games to try to fix what is wrong and just return back to the original host where there were no issues like this. Should have done it sooner if I could have read into the future. I know if I ever think about switching my website host again. I will spend more than 10 minutes on the phone with a host to ask questions. I will want to see and talk to references to determine if the service are adequate. What challenges they have had and their participation required to fix the issues. To be fair, I am not going to mention who my host was that I decided to change to. My website is exceptionally large and has special programming. I suspect in the end, their programming wasn’t up to the level of my original host I had switched from. That might be an unfair comparison. I had done some digging in finding reviews about the host I had switched to and didn’t find anything alarming. So I think my circumstances may be unique. I think I will be able to once again sleep at night and focus on tutorial making and content building from this point forward. This is what I love to do, not website programming to the degree in which I had been doing. This entry was posted in Advice & Tips and tagged Crochet, crochet crowd, Technical support, Web hosting service, Website, YouTube. Bookmark the permalink. We all make mistakes, Mikey! Don’t beat yourself up over it. Lesson learned, move forward. 🙂 Glad you’ve got it all worked out now! Thank you for staying with it and giving us what I believe to be the most informative and most pleasant site to come to every day…my first click now rather than Facebook or anything else. You are a delightful and hard working man who deserves success, not the rubbish of the last few weeks. A big welcome back from me. You did well to get things back together again. A friend does programming and stuff and he tells me of these stories regularly. Salesmen who are not accurate and don’t know that such a large site would pose different problems than the average user. Mikey, I can honestly say, not to worry. We are a loyal crowd and while we certainly haven’t enjoyed the problems anymore than you, we will stick by you through this. The fact that you have been honest and open about it, take responsibility for it, what a breath of fresh air! My business has encountered similar and more costly IT related issues and while they weren’t visible to the public, they were awful nonetheless. So, pick yourself up, dust yourself off and then sit down with some new, fabulous yarn, and relax! We’re glad you can get back to doing what you love and inviting us all to join you on the journey. I think your the greatest teacher. People make mistakes no one is perfect but you have taught me alot and I want to thank you. for all the hard work you have put forward to give people like myself the opportunity to learn to crochet . You are truly a class act to not through the new host/provider under the bus by mentioning their name and such. It shows how much respect you have for yourself and your business. Kudos to you. Thank you for being such an inspiration to other websites to show how to professionally handle situations. Thank-you for all you do.. I hope you can put your feet up drink a glass of wine and say to yourself Another job done and back to crocheting! Thank-you gain for everything!!!!!!!!!!! I love this website and all that you do. Yes, down times are painful. But this is all al apart of this techie world we live in. Thanks for caring about any negative impact on your fan base. Carry on! Take a deep breath Mikey we still love you and will stand by you hang in there kid Mama told you there would be days like this. Hang in there crochet crowd and thanks for letting us know. Great to know its all sorted now. Prop up your feet and lift a full glass….because a few of your contacts were a pain in your (beep)! This is now over and they are long gone…..your have a small break before you must carry on. 😉 Hope this made you smile because you deserve it! Thanks so much for your tutorials!! Your honesty is refreshing, Mikey, as is your fairness, not only in keeping the new host’s name confidential but also considering that your situation may be unique and that the problem may have stemmed from the new host’s not being able to handle the old host’s programming (if I understand you correctly, apologies if I don’t). I suppose it isn’t always possible for a host to know what they can and can’t handle until they actually try it. I can sympathize with your desire to not be involved in the programming; I don’t either, which is why I’m taking “baby steps” with my site (it’s hosted by Blogger). But your site is so much bigger and growing like crazy as people realize how much value you offer, you need something more than I have. I think it’s just a learning experience; you made a decision that didn’t work out, which is shame, but you’ve realized that and taken the steps needed to correct the problem. And that’s a lot more than some site owners do, so I think you’ll be fine. You not only “know your stuff” (meaning, crochet and other crafts), you know how to share it and build your community, so in the long run I think these bumps in the road will smooth out. You’re already successful; your commitment says to me that that success will only grow with time. Now go get some rest! 🙂 And enjoy yourself, it’s a holiday weekend. Sorry that it was such a nightmare & you explained the situation very well. I am an amateur crocheter & your directions are so easy to understand. I’m fascinated with crocheting and with my 1st grandchild on the way, I have already made his 1st baby blanket & his 1st beanie with a pompon on top!! I refer to your website often to learn a stitch or refresh my memory which is 60 years old. Thank you from the bottom of my heart for providing all the info you do!! I can’t thank you enough for not making me feel lost & confused! It is ok, most of us understand. I am trying to change how often I get comments, but when I click on the link, I keep getting this message: You may not want to click on this if there is a reason why this site doesn’t use trusted identification. Please ask why. Glad to hear it is things are about back to normal! Good job IT team! Mikey, unfortunately, as my father-in-law would say, “The mouth will say anything!” Which means that you could have spent 2 hours on the phone with that host provider and they would have probably told you what you wanted to hear to get your business. It will all workout and people shouldnt complain so much. We will be here to learn from you crashing or not. Keep up the good work!